Here’s what you need to know about Amy. Twenty eight years ago, when rumor went around that Woody Allen planned to show up for a screening of his new movie, Broadway Danny Rose, she asked me to go with her. He seemed equally awkward. “Sure,” he replied. I know I’ve had more disastrous dates, but this one was memorable. It was a cold February night, the rumor was false, and we searched for the screening site, going from one university building to another, in vain. We finally decided on an arts flick, Born in Flames. Let’s just say that a feminist movie about the lives of prostitutes isn’t exactly conducive to romance. He did get points though for not making fun of it afterwards, and we warmed up over ice cream. Somehow our sense of humor meshed, and we agreed to see each other again. We have been together, ever since. “I knew it’d work out,” Amy told me. A lot of things have happened since then. Amy and I worked side by side, for years. We attended each other’s weddings. She came to the rescue when I needed help during one of my pregnancies. She stayed with us when her newborn needed to be kept safe from the flu coursing through her house. We’ve celebrated holidays and marked milestones. So when No Castles Here was published, Amy told me, “I’m throwing you a party!” And what a party—friends, great food, good cheer. We had such a good time, that when Come Fall came out, she threw me another one. “We do this again for the next one, too,” she said. So, on Sunday, we celebrated Gil Marsh: we laughed and schmoozed, ate awesome food and had a grand time, the way good friends know how. I hugged Amy more than once. When I first started out as a writer, I steeled myself for rejection. I knew it could take a while before anything I wrote was published. But as months rolled into years, and the rejections piled up, my confidence began to flag. In 2001, word got around of a new children's book contest: the Tassy Walden Awards, New Voices in Children's Literature. It was juried by reputable agents and editors from large publishing houses, and winners were given a small cash prize. Why not, I thought. My manuscript for a young adult novel came in as a finalist. I submitted a middle grade novel the following year, and that also came in as a finalist. Two years later I submitted a third novel, and that one didn't even place. Now you'd think that would have soured me—three novels, three rejections. But it didn’t. See, coming in as a finalist meant that the agents and editors who read my manuscripts thought they had promise. The criteria they were using was whether the submissions were of a professional quality. Winners were the best of the bunch—and some years they decided not to chose any winners because no one reached a high enough standard for the category. That I had placed two years in a row meant that I should keep going. That I didn’t place two years later meant I needed to put more work into what I was doing. And more work is what I did. The result: one of the manuscripts that came in as a finalist became No Castles Here. The one that didn’t place at all became Come Fall. Both have received starred reviews, and I have a third novel ready for release in February, 2012. The Tassy contest does something many contests don’t: it makes you step up to a publishable level. Winning doesn’t guarantee that what you write will be published, but submitting forces you to reach a professional standard. That is no small thing. The 12th annual Tassy Walden Awards: New Voices in Children's Literature is now open for submissions. The competition is open to unpublished Connecticut writers and illustrators. This year has five submission categories: picture book (text only), illustrated picture book, children's book illustrator's portfolio, middle grade novel, and young adult/teen novel. The deadline for submissions is February 3, 2012. The paperback edition of Come Fall will be available for purchase next week, July 12, 2011. If you like children’s literature and you’re looking for a way to help folks in Japan, you can make a donation that will benefit children affected by the earthquake and tsunami while also purchasing some neat children’s literature swag. 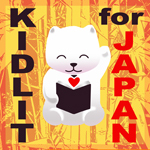 Beginning at 9AM EDT on Monday March 21st, the Kidlit4Japan site will feature a children’s and YA auction to benefit the victims of the earthquake and tsunami in Japan. Dozens of authors and illustrators have contributed thousands of dollars worth of signed books, virtual author visits, critiquing services, artwork, and even a few opportunities to name a character in an upcoming book! Bidding will be open on each item for 3 to 5 days. If you’re interested in A.C.E. Bauer related stuff, I’ve donate signed first edition copies of No Castles Here and Come Fall, and the audio production of No Castles Here in a 5-CD set. They’ll be up on the rotation from Friday March 25 @ 2:00PM EDT to Tuesday March 29 @ 2:00PM EDT. The link again for the auction: http://kidlit4japan.wordpress.com/. Thanks for your help! Every year the Cooperative Children’s Book Center (CCBC) publishes its picks for best children’s and young adult books of the previous publishing year. Come Fall made this year’s list! I’m really honored. The CCBC Choices 2011 list can be seen here. The fully annotated Choices booklet will be available in March. Bookworm Buddies is a blog written by Manhattan Public Library staff in Manhattan, Kansas, where they recommend books for kids. They reviewed Come Fall and really liked it. I picked this book up initially for the cover art. I couldn’t imagine how this tricky plot could work, but it does! Bauer successfully weaves the subplots together with sympathetic characters. Pick Come Fall up for a story that’s engaging and touching. Milk and Cookies: Comfort Reading reviewed Come Fall and liked it, giving it “3 yummy chocolate chip cookies”. I Kept Reading Because: I wanted to know the secret of Salman and I really liked how the characters were written. It kept my interest! This is actually a book where chapters told from different points of view really worked. In fact, I loved how Blos was written. The ones about him were my favorite chapters. I was very impressed with how the author wrote Blos. This was an easy enjoyable read, with a touch of supernatural that many middle grade readers will enjoy. With the variety of main characters most readers will identify with one of them. When you throw together three unlikely friends and the tricky messenger of fey, you end up with an interesting and warm tale of friendship and a wonderful read. When reading this book, I was sucked in by the intriguing characters and warm fall feeling, setting an overall tone of warmth. Switching between the perspectives of each character also gave the book a curious feel as you got to see the experiences of each one. The characters were believable and unique, each one with their own quirks and personalities that help shape the odd and indescribable feel of the book. Far be it from me to let her down. Last week she and her family hosted another party, this time to honor Come Fall. I saw many old friends, read a few chapters, answered a bunch of questions, and signed books. Profits from the sales went to Read to Grow, a literacy program for children in Connecticut. R.J. Julia Booksellers supplied the books and made the donations possible. Of course, no birthday party is complete without cake. Take a look at what Amy baked for us. Thank you Amy, all the Eppler-Epsteins, and all those who contributed to Read to Grow. You guys are the best.